Beam diagnostics is one of the most common methods of diagnosis of pathology of the internal organs and bones. Due to the high penetrating ability of x-rays it is possible to obtain black and white images of the desired area of the human body, which will be displayed all the anatomical and structural features and damage. There are certain indications for radiography for examination of a particular area common to all areas of the human body, and specific, aimed at identifying pathologies inherent to the different organs and systems. X-ray examination in trauma is one of the main ways to diagnose damage. 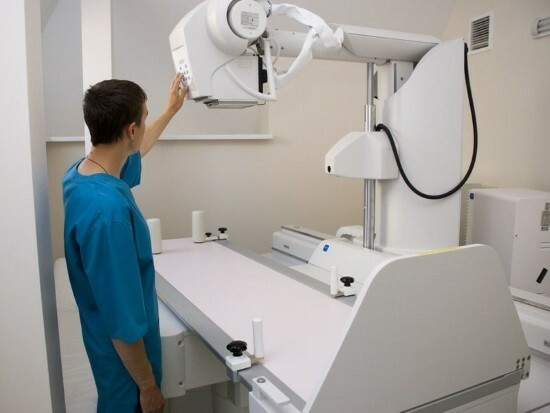 Often an x-ray is carried out for patients admitted after an accident, falls from a height and other injuries, as based on these images there is the possibility to quickly make a treatment plan. Pulmonology – branch of medicine dealing with the diagnosis, treatment and prevention of diseases of the bronchopulmonary system. Radiography is considered the leading method of research using digital and classical methods. X-rays available that allows you to capture clear images, on the basis of which a diagnosis and compose a treatment, afterwards there is a possibility of dynamic monitoring of the course of the disease and to identify residual effects. 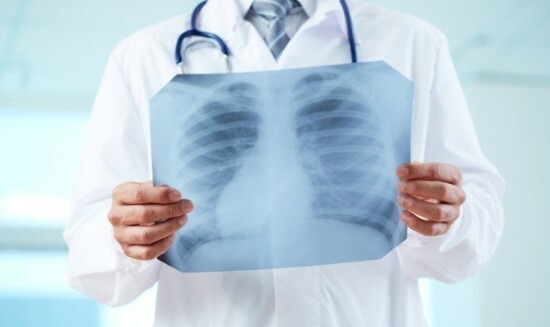 Lung x-rays allow us to see different shadows, which in norm should not be. The features of the shape, size, and localization of these shadows can be used to diagnose a variety of diseases. Anomalies and malformations of the respiratory system. Infectious-inflammatory diseases of the lung. Degenerative-dystrophic processes (acquired emphysema, and others). Foreign bodies in bronchial tree. Neoplasms benign and malignant in nature, the sites of metastasis. Indications for x-rays are the complaints of the patient on prolonged cough, sputum streaked with blood, shortness of breath, chest pain, shortness of breath, high temperature, fever, chills, changes in the blood picture. In addition, an x-ray carried out for quality control of the treatment and identify the negative consequences after the illness. Common ENT disease is an inflammation of the sinuses, so often in medicine x-rays is assigned for the diagnosis of sinusitis – sinusitis, frontal sinusitis, sphenoiditis. In addition, radiography is used to detect a curvature of the nasal septum, the definition of congenital malformations, cysts, traumatic injuries of the nose. Complaints on the basis of which the doctor may send an x-ray are pain and heaviness in the head, increasing when tilting the head; difficulty in nasal breathing in the absence of colds. The object of study of neuroscience is the Central and peripheral nervous system, neurosurgery also deals with surgical treatment of these diseases. The brain and spinal cord is almost not visualized on x-rays due to the low ability to detain ionizing radiation, so they are poorly visualized on x-ray. Diagnosis of degenerative diseases (herniated disc, spondylosis, osteochondrosis). Visualization of the anomalies and malformations. Diagnosis of benign and malignant cancer tumors. Identification of the consequences of traumatic injuries. Patient complaints on pain in the spine. Plain radiography of abdominal cavity organs are shown in case of suspicion on acute intestinal obstruction, perforation of gastric ulcer and duodenal ulcer. Indications for radiography with the use of contrast agents are the suspected pathologies of the esophagus (diverticula, stenosis, strictures, tumors, congenital abnormalities) and stomach (peptic ulcer, gastritis, cancer tumors). 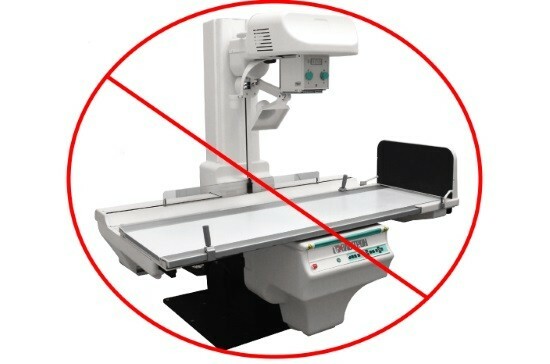 Radiography is one of the most informative and accessible methods of diagnosis of pathologies of zubochelyustny system. It is performed for diagnostics of pulpitis, periodontitis, destructive pathologies, cysts, traumatic injuries of the teeth and jaws. Like any other method, radiography has both indications and contraindications. The study is not carried out when a serious condition of the patient. Diabetes mellitus in decompensation stage. High sensitivity to iodine-containing substances. As is clear, radiography allows us to diagnose many pathologies of the different parts of the human body.